Want to know how to make a difference that can combat wildlife trafficking, safeguard the future endangered rhinos and elephants, and protect our national security interests at the same time? Look no further than citizens from the brave state of New Jersey. They'll show you how it's done. 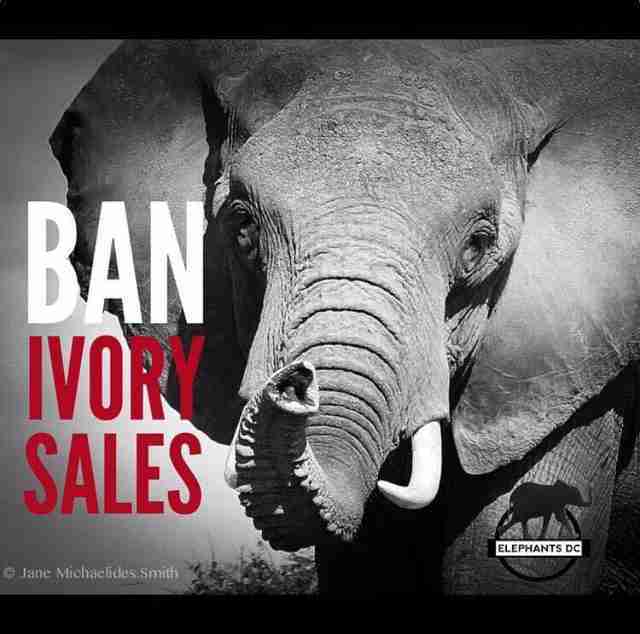 Last week, New Jersey State Senator Raymond Lesniak and State Assemblyman Raj Mukherji testified before the Federal Advisory Council on Wildlife Trafficking about their success last year in passing our nation's first full ban of ivory and rhino horn sales. Held at the US Department of Interior in Washington, DC, the Advisory Council's fifth public meeting focused on recent progress, challenges, and strategies for ending the multibillion dollar criminal industry. Unfortunately, combating wildlife trafficking is no easy task. The brutal industry is responsible for the death and suffering of countless animals - and people - worldwide, and it's often run by the same criminals who traffic in humans, weapons, and narcotics. Elephants and rhinos, among other species, are slaughtered by the thousands as poachers, smugglers, and terrorist groups profit off their imminent extinction. The Advisory Council has highlighted that ending wildlife trafficking involves a multi-pronged approach that includes ending demand, strengthening laws, and bolstering enforcement. Without a doubt, governments around the world-big and small-need to stand up and do their part. States, in particular, have a vital role to play. As Judith McHale, chair of the Advisory Council, noted, "The federal government cannot do this all by itself." And if these states and other governments need a role model, they've got one! New Jersey made history in 2014 as the first in the United States to fully ban all ivory and rhino horn sales. 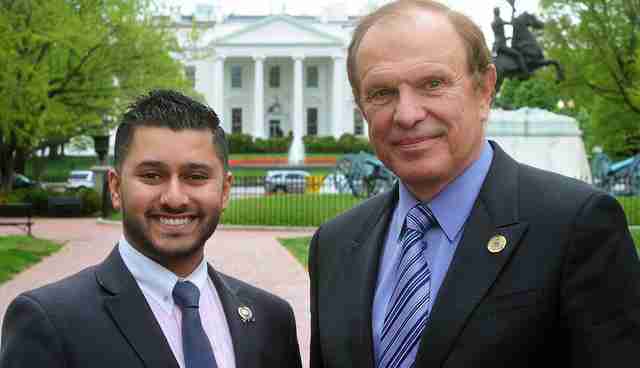 Led by animal rights champion and senior-ranking Senator Raymond Lesniak and shepherded by freshman lawmaker and rising star Raj Mukherji, New Jersey's landmark bipartisan legislation has served as an inspiration for more than 20 other states that have taken action this year to pass similar bans, including California and Vermont. Why New Jersey took bold action to fight wildlife trafficking. During the Advisory Council meeting, the New Jersey delegation was first introduced by Jen Samuel, president of Elephants DC, a nonprofit working to end the ivory trade worldwide and advance elephant well-being. Ms. Samuel praised New Jersey for its "bold, fearless, and unwavering" leadership. Ms. Samuel noted that the members of the delegation have impressive records of serving the people of the Garden State by advancing social justice, economic growth, and job creation while defending endangered species from extinction. 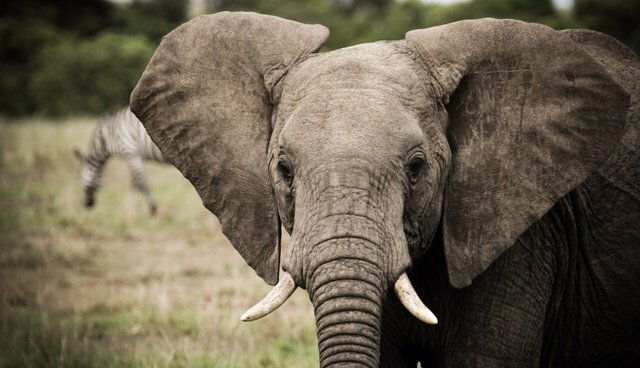 In their testimonies, Senator Lesniak and Assemblyman Mukherji emphasized the importance of the role of states in the fight to save elephants and end the ivory trade. As Senator Lesniak testified, New Jersey's ban has made an important statement to other states, the federal government, and the world about "the importance of preserving God's creatures on earth from extinction." 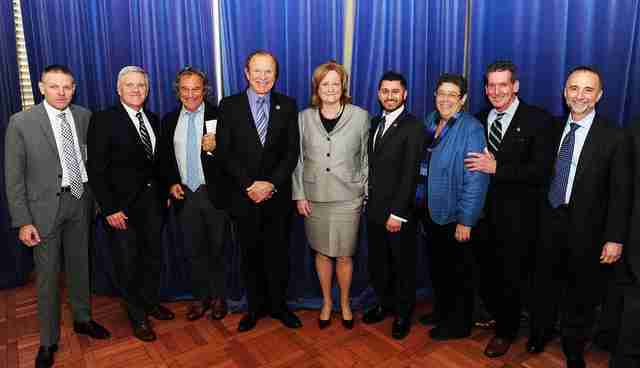 "Our message [is] spreading throughout the country to other states," said Senator Lesniak. "We're sending a message throughout the world that we're doing our part, and we want you to do yours." Assemblyman Mukherji provided a powerful reminder of the importance of New Jersey's ban in helping to sever the pernicious ties between wildlife trafficking and terrorism. "In New Jersey we are proud to have played a role in ensuring the future prosperity of these keystone species, while contributing to strengthening national security and cutting into terrorist organizations' profits," said Mukherji. In fact, it was this connection that inspired New Jersey's lawmakers from both sides of the political spectrum, as well as Governor Christie, to take action and pass the ban. Assemblyman Mukherji said, "It was of interest to a lot of people who didn't realize it back home that trafficking and poaching are so inextricably linked to funding the operations of Al Shabaab, the Lord's Resistance Army, Janjaweed and so forth - and that major ports throughout the United States are serving as hubs for the illegal wildlife trade." Assemblyman Mukherji also explained why New Jersey chose to pass a full ban of all ivory and rhino horn sales, without any of the exemptions and loopholes that some have proposed in other states, and that currently exist in today's federal ivory regulations. He stated that a full ban is important "because enforcement has been so difficult and complicated by these exemptions." "As we've seen time and again, including with a sting that resulted in the conviction of a major smuggler in our own federal district in New Jersey, [wildlife traffickers] have gotten so good at masking recently poached ivory and horn as fossilized or mammoth ivory, as well as ivory from other species not reached by the act," Assemblyman Mukherji stated. "That's why our state ban reaches all ivory and ivory horn from any animal. We hope that other states will follow suit." Time is running out for elephants and rhinos. Also testifying with the New Jersey delegation was Princeton University professor and elephant expert Andrew Dobson, who spoke passionately about the need for full, unwavering international commitment to ending all elephant and rhino horn poaching, especially by CITES (the international body governing wildlife trade). Dobson called the notion that any rhino horn or ivory should be available for legal trade "intolerable nonsense." Elephants and especially rhinos could be extinct in less than a decade, and the clock is running out. "If we don't have the full commitment to stop these by [the] CITES 2016 [conference], we won't have any time left to make a difference," said Dobson. As Dobson said, New Jersey's action was "the first line in the sand" to inspire the United States to rally for elephant and rhino protections. But New Jersey's action won't be enough if others don't act similarly, and act quickly. Following the New Jersey delegation testimony, Advisory Council Chair McHale said she hopes other states will follow the New Jersey model in fully banning ivory and rhino horn sales. The time is now for our nation's states, the federal government, and other nations to stand up and refuse to play any part in the extinction of elephants and rhinos. It's time to end the trade! New Jersey did it. We can too.